Seek out your sanctuary. Welcome to the luxurious Blue Diamond Riviera Maya, a 36-acre adults only paradise along Mexico’s Caribbean Coast. Surrounded by lush rainforest, pure white sand beaches and pristine turquoise waters, the destination beckons you to a haven of serenity. The delicacy in the care, attention to detail and exquisite service are the solid pillars of life philosophy extended to every guest. Tailor your escape from among 128 generously sized suites, each with a unique trait, affording the latest luxuries and personal touches. From dramatic beachfront casitas to rooms with secluded docks, ocean front terraces, roof top infinity pools and private pools, each suite is a perfectly personalized refuge among the waves. Take in sublime vistas of the Caribbean waters, lagoons or mystical Mayan Cenote. Light is the centerpiece of the resort, penetrating through great windows overlooking the sea and flooding your surroundings with natural illumination. Blending perfectly within the area’s rich environment, Blue Diamond Riviera Maya creates a harmonious and tranquil shelter amid the blooming Caribbean landscape. Relish in a picture-perfect romantic hideaway, host a vivid celebration, or seek out adventure in the midst of one of Mexico’s most striking locales. The a la carte luxury resort is all-inclusive, offering everything at your fingertips. Dine and indulge with creative culinary offerings showcasing the best in international cuisine. Replenish in our spa, with rejuvenating treatments that blend the healing Mayan philosophy with rituals of balance and tranquility. Then take time to soak in your sun-filled surroundings. Separate from the everyday and discover an adults only enclave of calm, positioned along the very edge of paradise, at Blue Diamond Riviera Maya. When you start with a perfect beach, everything else is a breeze. Breezes Bahamas sits on a wonderful stretch of Nassau’s world famous Cable Beach, with broad white sand and sparkling blue water stretching as far as the eye can see. 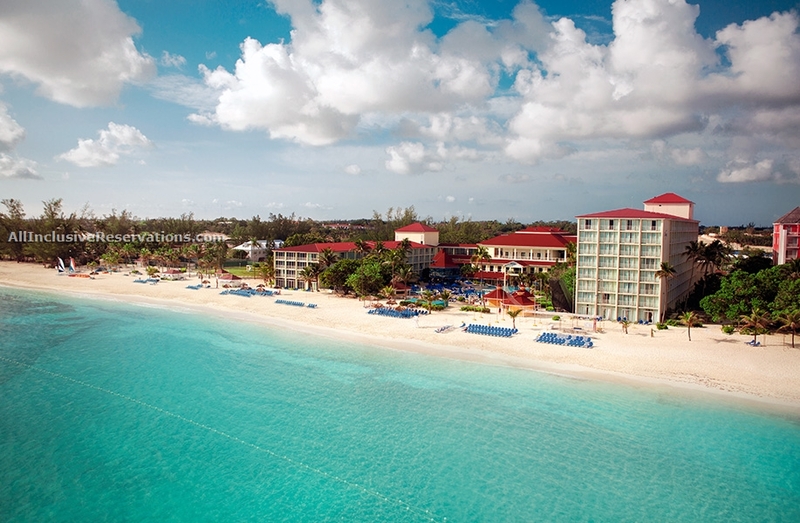 Breezes Bahamas is one of the first and only super inclusive resort on the island of Nassau. Set on Cable Beach, Breezes Bahamas is a spectacular 400 rooms and suites, resort within easy strolling distance of Nassau’s glittering casino. Good for couples, singles and adults families 14 years and over. Distance from Hotel to Town, 6 miles. Distance from Hotel to Airport, 1 mile. Immersed within the rolling greens of the Marina Vallarta golf course in Puerto Vallarta, this luxurious boutique hotel is well known for its secluded location and sense of intimacy. Discerning visitors can expect the ultimate in service standards while delighting in the welcoming atmosphere and discovering a new definition of pampering. 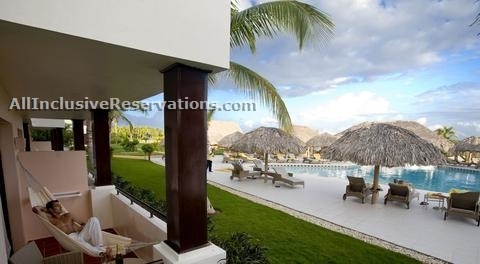 Accommodations spacious suites, some with amenities such as private plunge pools and Jacuzzis. The resort also has a world class spa, and offers a gourmet dining experience. Catalonia Bavaro Royal–an adults only portion of the Catalonia Bavaro Beach Golf & Casino Resort. Six dining choices include the Main Caribe restaurant for buffet and theme restaurants, Japanese-Mikado, Italian -La Toscana, TexMex -El Paso and the Creperie La Bretonne plus a palapa restaurant beachfront for snacks. A taste of many cuisines! The hotel offers 252 comfortable double rooms and 36 spacious junior suites, distributed in 6 3 story buildings. This hotel has a great pool for activities and relaxation, 2 buffet restaurants, 4 a la carte restaurants for dinner (Mexican, Italian, Steakhouse and Tapas bar), snackbar, tropical beach bar with natural fruit juices, bars, Zen lounge/disco, complete fitness center, fully equipped modern Alegria Spa, non motorized watersports and daily and nightly entertainment programs. 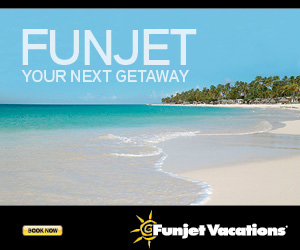 Complementary shuttle to Playa del Carmen, twice daily. Couples Negril is recognized for its stylish, chic, and eclectic atmosphere. Everything seems to be synchronized here… even our hammocks, shaded by lush palm trees, seem to sway with the sounds of the sea. The turquoise blue waters beckon as the powdery white sand offers an easy road to the Caribbean Sea. Oh, the choices you will have… golf, windsurfing, scuba diving, tennis, a massage? Thankfully you can do it all, and then some. Included in this vacation experience are unlimited meals (including specialty dining), 24-hour food service, unlimited premium brand beverages at any of our 5 bars, all sports activities, and a variety of off-site excursions. You deserve it! Distance from Hotel to Downtown (Negril), 5 minutes. 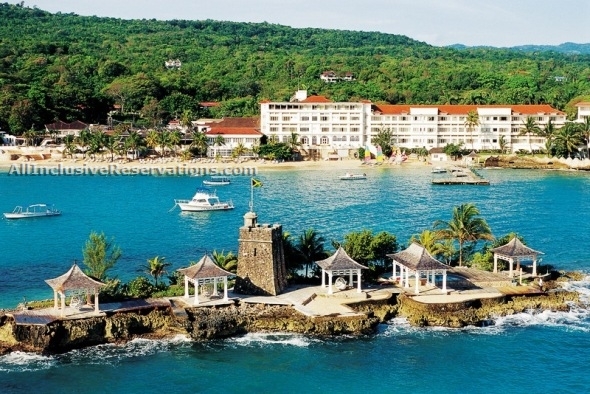 Distance from Hotel to Montego Bay (MBJ) Airport, 55 miles. Enjoy great food and drinks in a casual, open-air, beach side setting at the Beach Grill & Bar. The Beach Grill is a great place to walk barefoot off the powdery white sand and sit at a great little table with a beautiful ocean view while having authentic Jamaican jerk chicken. In the evening it transforms into the Heliconia Restaurant. Feast on the many flavors of the Mediterranean with a selection of grilled specialties and delicious pasta dishes. Offers a tempting buffet of salads, local and international hot and cold dishes, pastries and cakes – all in an open-air setting. Dress is casual, though beach cover-up and shoes are required. Join us at the Cassava Terrace for live entertainment nightly with some of Jamaica’s top performing artists. Surrounded by elegance, great service and excellent food, it might be hard to believe that Otaheite Restaurant is included in your all-inclusive holiday. Distance from hotel to town, 5 miles. Distance from hotel to airport, 2 miles. This ocean front resort exclusively for adults is ideal for those who are looking to spoil themselves in a place with comfort, style, relaxation and personalized service. Food connoisseurs will love the resort’s fine cuisine, made with fresh, local ingredients. This resort is a perfect choice for honeymooners and anniversaries. El Dorado Royale, A Spa Resort By Karisma, an Adults Only Resort, is located in the heart of the Riviera Maya, facing the beautiful Mexican Caribbean. Twenty-five minutes south of Cancun, 10 minutes south from Puerto Morelos and 35 minutes south of downtown Cancun. A romantic secluded all inclusive 639 room Spa Resort for adults only. Built on 450 acres of tropical jungle, over a mile of unspoiled Punta Brava Beach and spread among hundreds of palm trees. 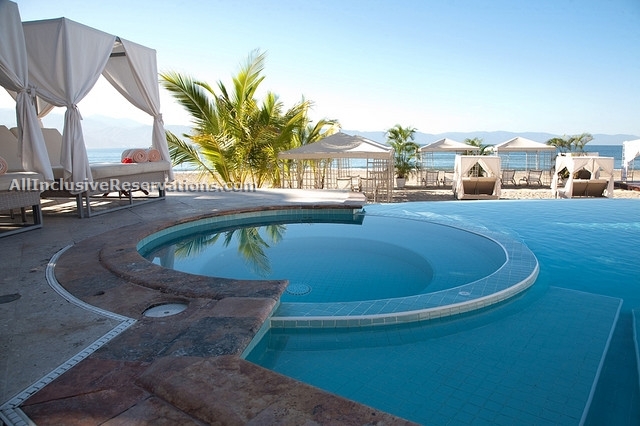 El Dorado Seaside Suites, By Karisma embodies barefoot elegance for the carefree and relaxed. Spread along a white sand beach, this all-junior suite, adults-only, Gourmet Inclusive resort blends luxurious services, amenities and creative cuisine with a cool boutique-hotel atmosphere, perfect for laid-back rest and relaxation. At Excellence El Carmen you are secluded but not isolated. Our all-adult, all-suite world is situated on a beautiful Caribbean beach in a palm grove on the east coast of the Dominican Republic. Its architecture is in the Contemporary Caribbean style, and twenty pools wind through our grounds. Situated on the east coast of the Dominican Republic, the resort is surrounded by a beautiful palm grove, bordering a Caribbean beach of fine golden sands. Galley Bay is an all-inclusive beachfront hideaway created for discerning travelers in search of a refined, yet unpretentious escape. It enjoys a secluded setting amidst forty-acres of lush, tropical gardens between a bird sanctuary lagoon and a 3/4 mile beach on the undeveloped west coast of Antigua. Great care has been taken to ensure the resort not only compliments, but also takes full advantage of these untouched natural surroundings. Thatch, bamboo, and terracotta combine to establish an ambiance of elegant rusticity in the alfresco public areas, whilst a picturesque wooden deck ensures maximum exposure to the ocean views. There is little disruption from the outside world as access to the resort is via a wooden bridge traversing the bird sanctuary. The 98 guestrooms are discreetly tucked away amidst the palms, more than three-quarters of them lying directly on the white sand beach and boasting breathtaking views of the Caribbean Sea- the comfortable Superior and Deluxe Rooms all feature private terraces or balconies. The Premium Suites are distinguished by sunken living rooms, floor-to-ceiling windows and expansive bathrooms with deep-soaking tubs, and updated amenities such as complimentary internet access, a DVD player and an iPod docking station. Home-away-from-home comforts throughout include air conditioning, ceiling fans, satellite TVs, mini-refrigerators (stocked on the day arrival only) and coffee makers. Set just behind close to the bird sanctuary is the unique Gauguin cottages with their own individual splash pools. Designed as semi-private sanctuaries for couples, each one consists of two thatched-roof rondovals (one a bedroom and the other a bathroom/dressing room), as well as splash pools with paved sundecks, many of them overlooking the lagoon. Woven bamboo ceilings, uneven whitewashed walls and cool terracotta tiling establish their charming Caribbean theme, whilst the beach is no more than fifty-yards away. In keeping with Galley Bay’s tranquil, escapist ambience, recreational activities tend to be of a relaxing nature and guests are generally quite content to sunbathe on the sands or around the landscaped swimming pool. Those in the mood for a little action, however, can take advantage of the tennis court, air-conditioned fitness room or non-motorized watersports, such as windsurfing, sailing, snorkeling and kayaking. Massages are also available on-site, scuba-diving can be arranged nearby, whilst golf on two 18-hole golf courses are less than 30-minutes drive away. Dining is also an important part of any stay at Galley Bay, the European Executive Chef specializing in Euro-Caribbean cuisine that makes the most of fresh local produce and seafood. Guests seeking a change from the a la carte fine dining experience of The Sea Grape can enjoy the grilled fare of the more intimate Gauguin restaurant, both dining venues alfresco and just steps from the Caribbean Sea. Or guests can also experience fine dining at Ismay’s restaurant (an additional surcharge applies for this dining option). Afternoon tea, evening hors d’oeuvres, live entertainment, cocktail parties and Caribbean barbecues all contribute to the hotels sociable, tropical ambiance, whilst the personal service from the staff contributes to its exceptionally high repeat-guest quota.